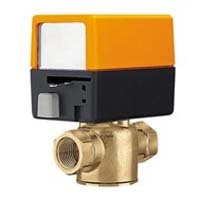 This high-quality valve is used where fail safe operation or 2-wire control is required. Compact size, modern design, insulated actuator housing. Simple manual override for commissioning or emergency operation. Simple 120 VAC.electrical wiring.